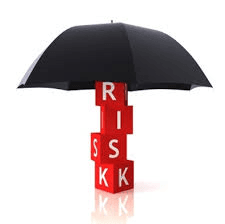 » Product Liability Insurance, Do You Have Enough Coverage? You know that if you manufacture any sort of product you need to carry a special type of liability insurance called product liability. This is designed to protect you from any claims made against your company based on injuries or damage that your product might cause to the public. Every company owner has seen the type of lawsuit that product liability protects against, but most believe it is unlikely to happen to them. This could be true, but if it does happen to you, wouldn’t you rather be prepared instead? Do you believe your product is safe; of course you do, you have gone through all the necessary procedures to make sure it is. So while you acknowledge that you should have product liability, you probably think a minimal amount of coverage should be just fine. This line of thinking is especially common in products that are not really seen as potentially dangerous. After all, you don’t make chain saws, you make stuffed toys! While it is true that the type of product you make can determine how likely it is that you will one day be facing a lawsuit, this shouldn’t be the deciding factor in how much coverage to carry. When you take out a lower policy based on your belief that you are not in a high risk category, you are taking a chance that really is not worth taking. The answer to this is very simple. As with any liability policy, the best course of action is to take out as much as you possibly can. If you make a product that isn’t seen as a high risk, your premiums should be quite affordable. And if you make a product with potential dangers, you need to pay that premium no matter how high, because a lawsuit will cost much more. Liability insurance is one of those coverage options where the people who claim they can’t afford it are the ones who need it most. Paying for the insurance now is much better than paying out on a settlement later. Sit down with your insurance agent and find out how much coverage you have for product liability, as well as how high you can go. Product liability is an area of insurance that is growing all the time as recalls are more and more common and lawsuits even more expensive. No matter what your product is, this is not an area of your insurance in which you should not cut back on.